1.What is your favorite part of the Chicago Yarn Crawl? Meeting so many new and interesting fiber artists. There is always something to learn, whether it is about the craft, the materials or the fascinating stories and experiences of the Crawlers. Seeing the passion and enthusiasm for something that we love reflected back is inspiring. We benefit from the excitement as much as the participants. 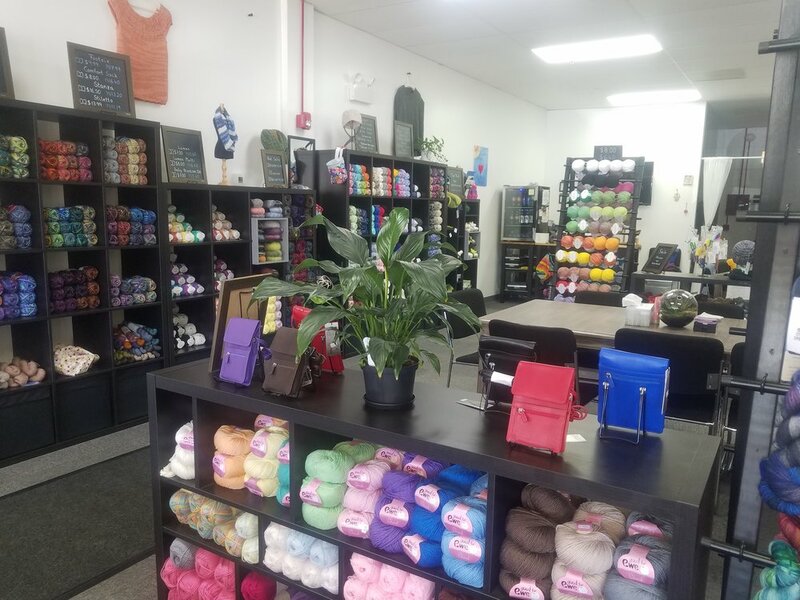 Yarns Untold has been open about ten months and is a continuation of a friendship that started in fiber. We share the common feeling and goal that Yarns Untold is a place where people come together as not only members of a community, but also family. With our different strengths, Tina in construction and design and Nancy in color theory and fiber content, we work to ensure that the choices you make in store are the first successful steps in creating the project of your dreams. Yarns Untold strives to make everyone feel welcome. Whatever your skill level, budget or background you will find the same level of support and options available. We stand behind every yarn, not only in terms of value, but also quality. Cotton to Cashmere, Acrylic to Alpaca we aim to have something for every project. Our community of crafters, whether you are in a class, drop in to socialize or rush over in a panic are always willing to lend a hand. You are welcome to stop in whenever we are open for camaraderie, with groups available to join seven days a week. Being part of such a large and altruistic community. Giving back to others is a huge part of our identity and our customers are incredibly supportive. Together, we can only be better and stronger. The ties that joined many of us initially are only part of the reason we continue to grow. Show your Yarn Crawl Passport at the following businesses and receive a discount during the crawl. Passport must be shown at the time of order.